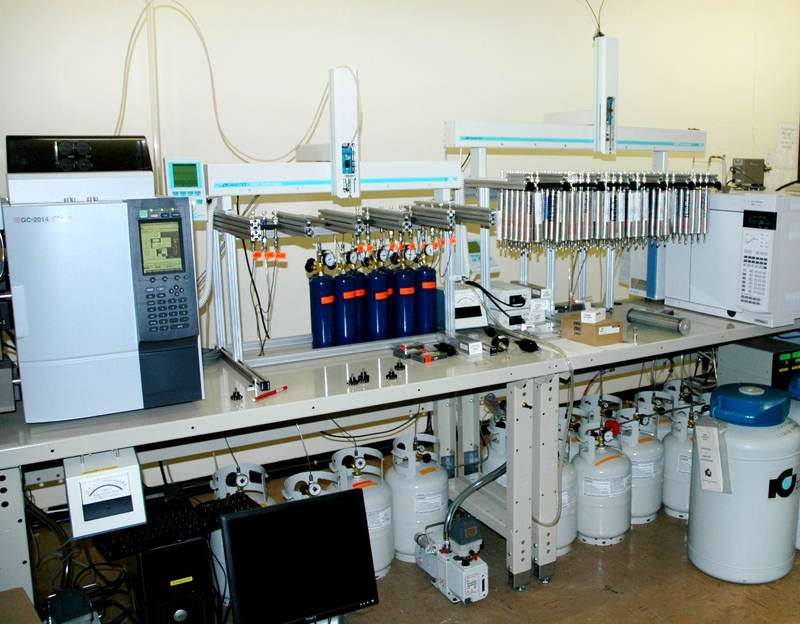 The fully automated Isotope Laboratory at Intertek Geotech consists of analytical systems designed primarily for compositional and isotopic analysis of mudgas (IsoTubes) and headspace gas samples (IsoJars), including dissolved gas from groundwater samples. The compositional GC is designed to accommodate samples ranging from mudgas samples, which are predominantly air with low hydrocarbon concentrations, to production gases with over 90% methane. The dynamic range of the instrument allows detection of hydrocarbons down to 1ppm and up to 100% methane. In addition to the C1-C5 and C6+ hydrocarbons, concentrations of CO2, N2+O2, H2, and CO are also obtained. The isotope ratio mass spectrometer is designed for stable isotope analysis of C1 to C5+ hydrocarbons plus carbon dioxide from mudgas and headspace gas at very low concentrations. The system is also equipped with a pyrolysis reactor for stable hydrogen isotope analysis. Canned cuttings can be submitted for headspace gas analysis. Gas maturity and gas and gasoline concentrations relative to TOC contents can be determined. The technique allows for the location of zones of hydrocarbon generation and out-of-place gas to be identified. Headspace gas data can be used to plot both lateral and vertical intervals of oils and gas proneness.